Mats Zuccarello and Rick Nash made up part of the Rangers top line, a great possession line that was also responsible on defense, and poured on the goals. Photo courtesy of MSG Photos. When looking at every NHL team, each one features their top line, meant to contain the most skilled, best scoring forwards on the team that also play well together. Every line has its role, but the first line is where a lot of the scoring comes from. Due to injury at the start of the season, and some new faces, Alain Vigneault struggled to find chemistry amongst the top three forwards. Rick Nash was always a top line staple, but Martin St. Louis started as the center in the first game of the season, because Derek Stepan was injured. 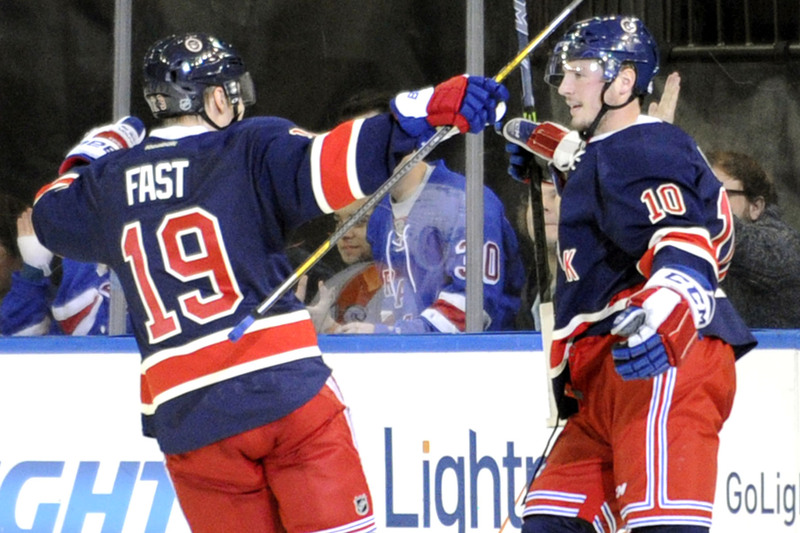 Stepan was expected to be the team’s first center, but injury changed those plans. At some point during the season, he decided to promote Derick Brassard to the top line, and soon after that, Mats Zuccarello on the right wing, due to how well him and Brass played last year. 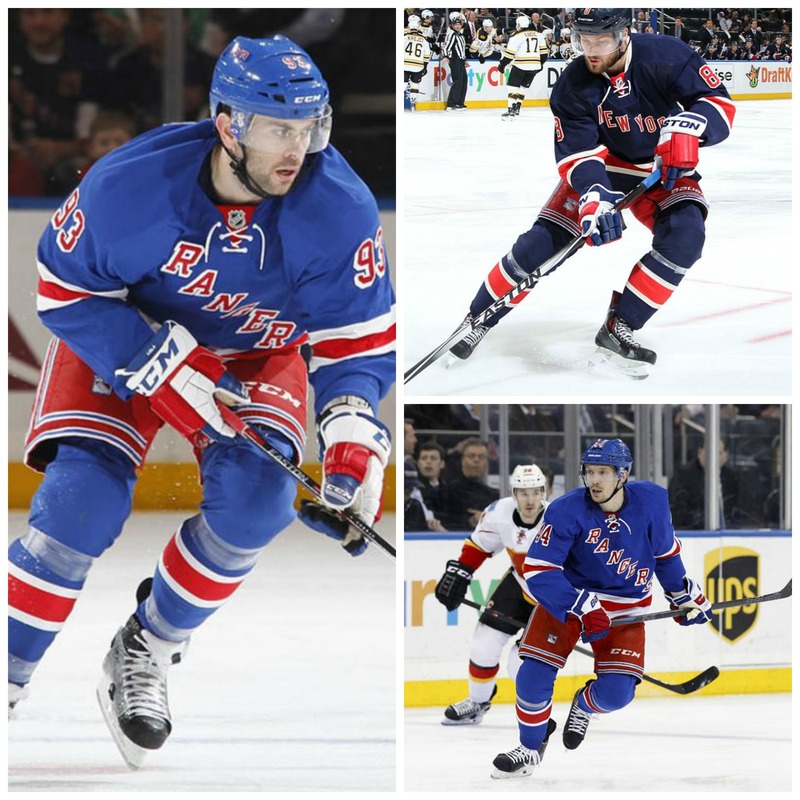 This line meshed perfectly together, and soon became the Rangers’ most productive line. Will Broadway Brad be headed back to New York this offseason? After winning the Stanley Cup in Chicago, could Brad Richards be heading back to New York for next season? Photo courtesy of Nick Laham. Now that the Stanley Cup Finals are over, with the Chicago Blackhawks crowned as champions for the third time in six years, it’s time for trade rumors, surprise signings and speculations. And today, I’m starting with my own speculation and prediction, something that I have said since before the start of the 2014-15 season. 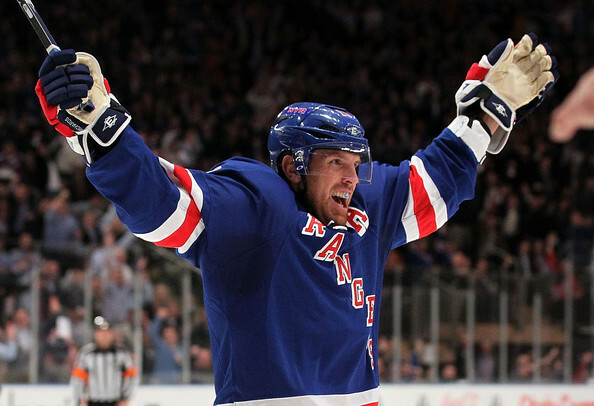 Brad Richards will be a New York Ranger for the 2015-16 season. Before I start, this is pure speculation. I don’t have an insider tip, I haven’t talked to Brad Richards or his agent or a family member, and I don’t have contact with any members of the Rangers’ front office. But I do think that I have some fairly strong arguments for my case.